The European startup ecosystem is maturing rapidly, and so is the governmental support system built by the European Commission. 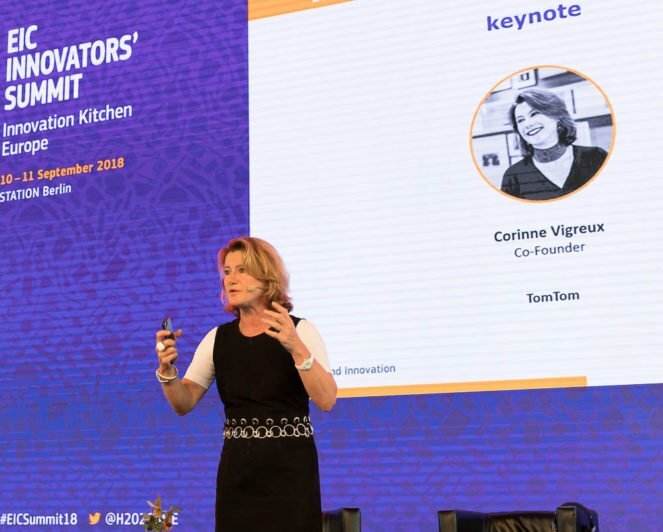 Some of the progress made across the region was shown at the European Innovation Council (EIC) Innovators’ Summit in Berlin last month, where almost a thousand entrepreneurs, investors, and corporates came together to share knowledge, make connections, and collaborate. Spread over two event-packed days at the industrial-looking Station Berlin, the conference also offered a first glimpse at the future of the European Commission’s effort towards improving the entrepreneurial landscape in the region. As part of this, Jean-David Malo, Director of Open Innovation and Open Science at the EC, outlined a new proposal that would see the program SME Instrument Phase 2 introduce equity-based investments alongside the traditional grant programme. The idea was perceived positively by the startups we talked to. It seemed like most entrepreneurs who came to Berlin were the ones who received the so-called Phase 1 grant of €50,000, successfully developed an early-stage product, and now looking for a larger cash injection from the EIC pilot. In order to support these entrepreneurs, the Executive Agency for Small and Medium Enterprises (EASME) unveiled a new online platform where successful applicants, mentors, and the EC staff can collaborate and get support. Also speaking on the main stage were representatives of larger companies and institutions that shared their vision and advice with the aspiring founders. Among other, the Chief People Officer at Innogy Innovation Hub Annemie Ress, VP at EIB Ambroise Fayolle, and Senior Vice President of the Global Listing Services and head of European Listings at NASDAQ Adam Kostyál took the stage over the course of the event. Territorially speaking, most of the space at the event was allocated for workshops, meetings, and stands where startups and larger companies that received funding from the EIC pilot. More than 30 workshops held during the summit focused on a wide range of topics relevant for startup founders and early employees, from communications to HR to fundraising. The futuristic-looking inflatable workshop pavilions were often full of participants sitting and standing around the tables and brainstorming together. In one of the climactic points of the event, the startup pitching competition finals started towards the end of the second day. 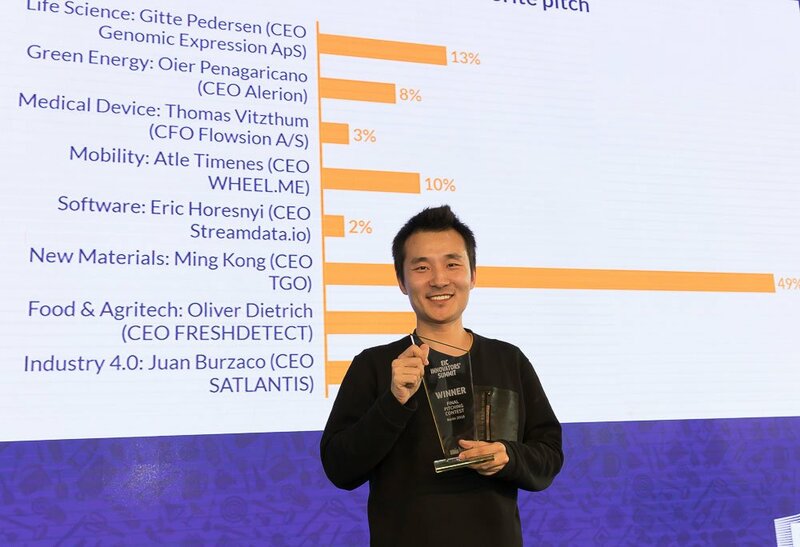 After a series of elimination rounds, eight founders came up on the main stage to pitch their projects and get a chance to become the number one. The public vote had clearly shown the winner, UK-based TG0 that secured Phase 1 funding from the EIC pilot in the past and competed in the New Materials track. As the CEO Ming Kong explained, the company produces a material that has not electronic sensors built in but is sensitive to touch, press, and other interactions. It could be used in a wide variety of sectors, including automotive interiors, consumer electronics, gaming consoles, and so on.